As any farmer will tell you, critters both big and small are a persistent threat to gardens. Ensuring a bountiful harvest full of fresh fruits and vegetable requires keeping pests under control. 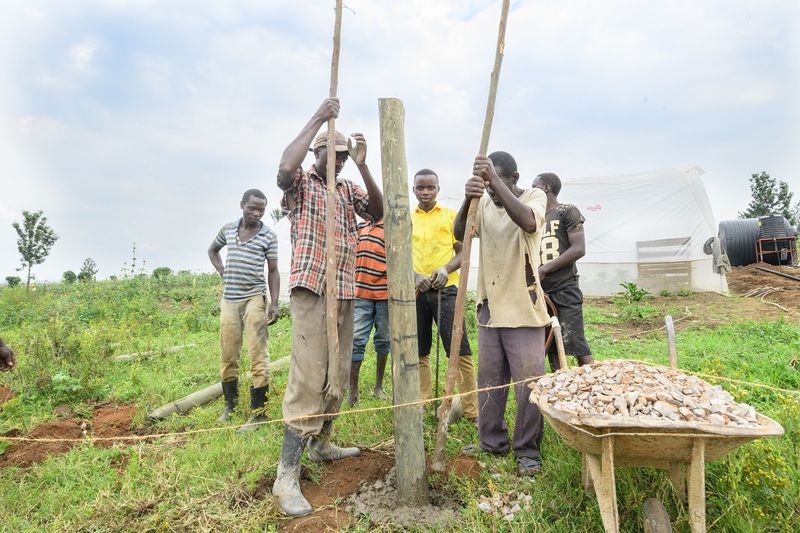 We helped farmers at our four greenhouses in Nakivale and Oruchinga fight of the small critters with fungicides and pesticides. But we still hadn’t solved for how to keep larger creatures’ paws off the juicy tomatoes and plump eggplants. 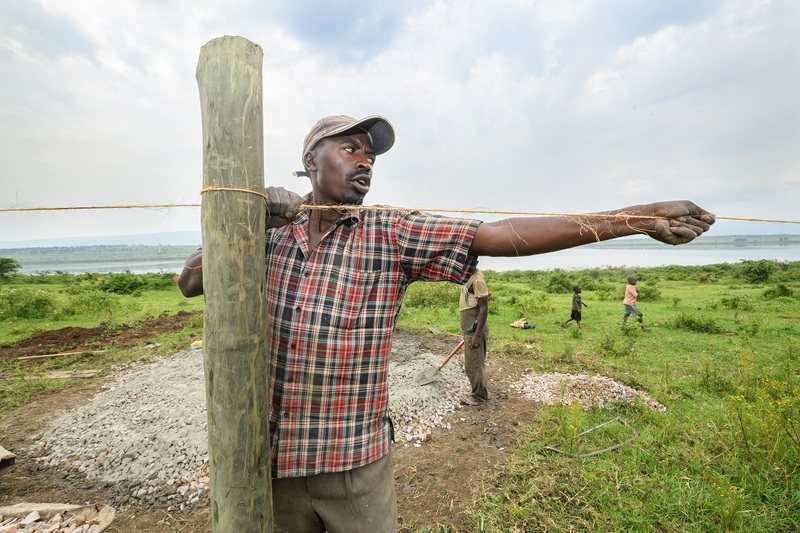 So, today at the Juru Greenhouse in Nakivale, we started building a fence to encompass the greenhouses and the plots of land surrounding those buildings! It was a big endeavor to undertake, but today we were able to pour the cement that would be a foundation for the fence.